Social Media is the present and future way of communicating, not only with your friends and family but also with your end consumer and suppliers. Social media is simply the medium for social interaction, is a group of Internet-based applications that allows you to communicate with your consumer directly. With more than 1 billion users, Facebook is the world’s largest social network. Through Facebook your are able to connect with friends, family, business associates and most important to your customer. In today’s world Twitter is better known as social networking or a microblog service that allows you to send short text messages of 140 characters in length, called “tweets”. Share brief news and information about your business in real time. With over 50 million users Instagram is a mobile photo application that uses your cell camera to take pictures, after which users can apply photo filters and share them on Twitter, Facebook, Tumblr & Flickr. Facebook bought Instagram in 2012. Google’s biggest attempt to rival Facebook. The key element of Google+ is a focus on targeted sharing within subsets of your social group. Create different circles and share your thoughts, links and photos with your customers. The world’s largest professional network with over 120 million members. It connects you to your trusted contacts and helps you exchange knowledge, ideas, and opportunities with a broader network of professionals. Pinterest is a Virtual Pinboard that lets you organize and share photos of your interest . This free service allows you to create and manage theme-based image collections. If you have a consumer products is a great tool for you. Tumblr is a microblogging platform that lets you follow blogs and create simple updates via text, audio, photos, quotes, and video. It’s a great way to seamlessly manage your blog while also seeing what other people are interested in. Don’t Know How to Start Your Own Social Media Presence? 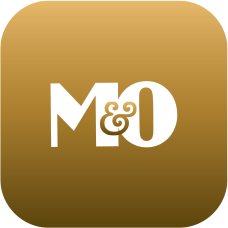 Don’t worry, M&O will make you a social media expert. Our unique program offers you the possibility of not only registering into multiple Social media sites but also personalizing it in order for your business to attract more customers. Contact us today and start communicating directly with your end customer!